Last year, Clear Channel entered into a similar deal with powerhouse indie label Big Machine Records, which FMC’s Casey Rae examined in a Billboard Op-Ed. While we fully support any band finding paths to revenue — especially those that previously did not exist — the Fleetwood Mac deal is not a fix for the broader issues around artist leverage and equitable compensation. Not every act has the clout of Fleetwood Mac (or a label with the clout of Big Machine, home to artists like Taylor Swift and Rascal Flatts). That means that most recording artists, even those that are played regularly on terrestrial radio, will not receive compensation for airplay (unless they are also the songwriter). Contrast this with webcasting and satellite radio, which compensate artists and labels via the nonprofit SoundExchange (songwriters and performers are also paid via performing rights organizations [PROs]: ASCAP, SESAC or BMI). If you need a primer, check out our Public Performance Right and SoundExchange fact sheets for more info. 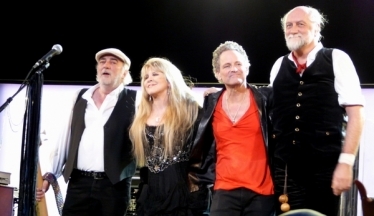 The Fleetwood Mac and Big Machine deals raise another set of issues. As FMC has pointed out many times over the years, consolidation in corporate radio ownership makes it difficult for the vast majority of artists to get airplay. Given Clear Channel’s sheer size, the company comes to the table with massive bargaining power of its own. Most artists typically lack the leverage to get any kind of terrestrial performance royalties, or even to get giants like Clear Channel to sit down at the bargaining table in the first place. Furthermore, because Clear Channel can broadcast Big Machine bands and, now, Fleetwood Mac at a discounted rate (including terrestrial), they may have an economic incentive to play these acts over others. To be clear: this is not old-fashioned, “take this money and play my song” arrangement that caused so much scandal in the 1950s. Instead, it’s more like, “when you play my tracks, you won’t have to pay me as much as everyone else, even though you’re paying me for something I wasn’t being paid for before.” We aren’t calling it payola (which FMC has fought against for over a decade), at least not yet. Still, there is bargaining and exchange occurring between recording artists and/or labels that could result in some songs getting favored over others, and not necessarily on artistic merit (or even popularity). Clear Channel CEO Bob Pittman calls the Fleetwood Mac deal a “win-win-win, for artists, fans and the music business.” Presumably the band is getting a substantial benefit here, but the recording industry is vast and diverse, and this agreement doesn’t apply to any artist who did not record Rumours. Pittman suggests that “this kind of revenue-sharing model represents the industry’s future.” We’d argue that a sustainable and healthy music industry can only exist when a broader class of artists have some kind of leverage. In the case of broadcasts, leverage can come from PROs —which compensate publishers and songwriters for over-the-air and digital plays — as well as SoundExchange — which compensates performers and labels for digital transmissions. (The latter pays artists their share directly, and the money is not held against an artist’s debt to a label, which we see as significant). Again, we’re happy to see a radio giant like Clear Channel acknowledge that music played over-the-air has value and that performers and labels should share in the returns from that value. However, we remain skeptical that these direct deals represent a meaningful solution to a whole host of issues around musicians, songwriters and broadcast platforms. There are benefits to so-called “collective” licensing, including direct payment and equitable treatment for artists outside the narrow superstar category. Perhaps direct deals can work well for established players who already have a seat at the table, but we need a music industry that works for everyone — especially the broader class of musicians and songwriters. See Broadcast Music, Inc. v. DMX, INC., 726 F. Supp. 2d 355, 360 (S.D.N.Y 2010) (“DMX has continually increased the frequency with which it plays Sony music since entering the direct license, and believes it will fully recoup the Sony advance during the course of the license.”).